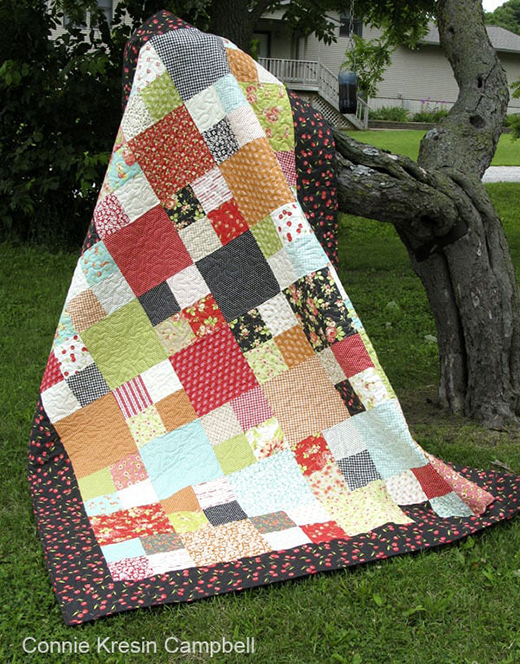 Checkmate Quilt Pattern is a free fast and easy quilt pattern which uses Layer Cakes. It measures approx 66 x 84. You'll want to make several! This Checkmate Quilt Designed By Connie Kresin Campbell of Freemotion by the River, The Pattern is available for free.